It's that time of year again!! If this is your first time to my blog, welcome! If you've been here before, you know how this works..
We've got some amazing fabrics in stock with more showing up regularly! 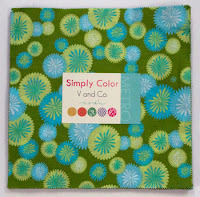 Notting hill, Ombre Yardage,simply color precuts, etc. etc. Be sure to stop by and check it out. Now, just enter using the Rafflecopter - this is my first time using it so bear with me if there are any kinks!! I don't know a whole ton about up and coming fabric lines, but I do love the Notting Hill that you sent me and would love to get my hands on some more of it! Thanks for the chance to win - I am looking forward to Tula Pink's Salt Water. I, too, am not really aware of all of the fabric lines that are going to come out, but I love anything Joel Dewberry. What fabric am I not looking forward to would be the better answer, but Notting Hill, Pam Kitty Love, Salt Water are just a few that spring to mind! Thanks for the give away! Rafflecopter doesn't seem to be loading for me, so I hope my above comment will be counted. I got a chance to see some Simply Colour last week for the first time and love it. Tanks for the chance! I can't wait to see Zen Chic's Comma! And I also anticipate Aneela Hoey's Posy, and Basic Grey? 's PB and J! I'm eagerly awaiting Tula Pink's Salt Water. Thanks for the chance! Nice giveaway. I love anything Aneela Hooley. Oh easy one! Has to be Nancy Drew Get a Clue by Moda! Thank you for the giveaway. I have no idea what line I'm looking forward too. . .maybe I need to find out what some of them are! I am definitely excited for Glimma by Lotta Jansdotter. She is such a great designer. :) Thanks for the chance Jen! I'm tempted by Salt Water by Tula Pink! I was so looking forward to Notting Hill I hadn't even thought ahead to next year. I do like Color Me Retro by Jeni Baker. Such a great giveaway. Giftcards are sort of like, "choose your own giveaway"! You know, I don't know of any specific new lines I'm waiting for. I have seen a couple that blogs posted from the quilt show everyone went too, but I can't really remember what they were. Thanks for a chance to win. Ohh I love gift cards! It is hard to choose but Honey, Honey should be good. I'm looking forward to Comma! I'm waiting for Aneela Hoey's new line. I'm looking forward to Lotta's new line Glimma. Looking forward to Pearl Bracelets, Architextures, and Type! Hmm it didnt let me comment on the fabric line ... So anything Kate Spain related! Simply color and pearl bracelets. Looking forward to Noteworthy! Thanks! 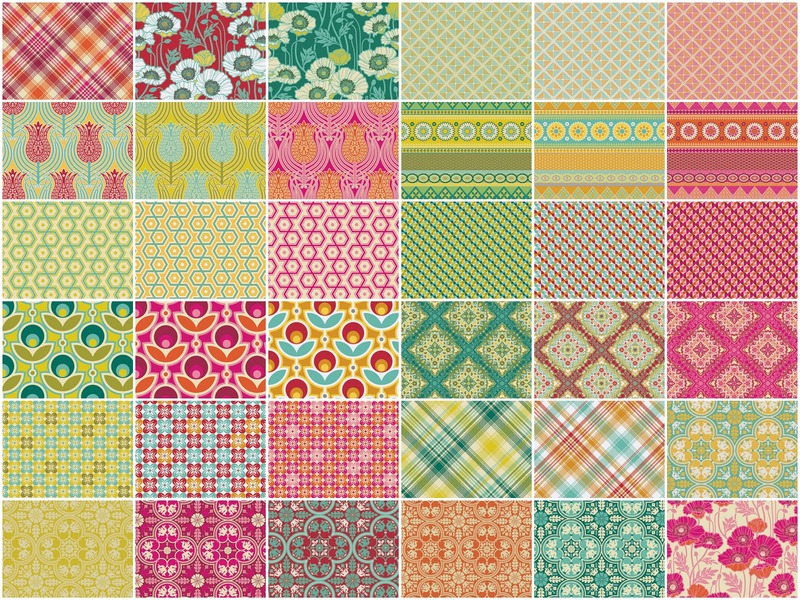 So many great fabrics, Architextures is on my radar and I just discovered Lucky Penny by Allison Glass. 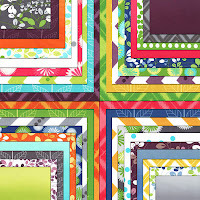 I'm looking forward to Jeni Baker's fabric line coming out, and everything Pat Bravo, I always love her stuff. Thanks for being so generous with the giveaway Jenn! Fab! Thanks for the giveaway, Jennifer! I'm looking forward to Colour Me Retro by Jeni Baker, not my usual style, but I have a few ideas brewing!! Fabulous giveaway thanks! I'm looking forward to having enough money to buy the saltwater line. drool! I am waiting for Color Me Retro! Sew hard to choose a favorite. Love Patty Young and Tula Pink, but there are so many more. The new Kate Spain line, Saltwater by Tula Pink. I'm looking forward to so many! Carnaby Street, Color Me Retro, Life in the Jungle, Salt Water and Type are just a few. Ok, I know two of those are 2012, but I love 'em! Honey Honey by Moda Fabrics is awesome, so is Kissing Booth and Flirt. Full Moon Lagoon by Mo Beddell is what I am waiting for! Thank you for the chance at your giveaway! 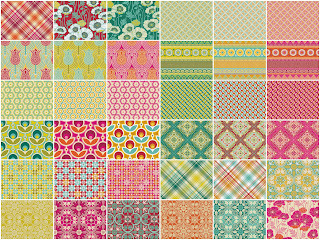 I am most looking forward to the newest collections of Anna Maria Horner, Denyse Schmidt, and Tula Pink. I'm really looking forward to Tula Pink's Saltwater. Everything I was looking for already came out and I'm trying very hard to stay away from fabric shop so I have no idea what's coming out soon... but I would love a text print line :) Would be fun ! So many to love, but Ladybug Garden from Riley Blake looks super sweet. I'm not really aware of the stuff coming out next year but I am loving the Poppy colorway of Joel Dewberry's new line. Glamping, Glamping and Glamping! I cannot wait to make a quilt with that stuff! I am loving Notting Hill line, thanks for the chance to win! Thank you for the nice giveaway. Gift certificates are great! I can't keep up with what's coming out vs. what's already out but I love Notting Hill and Architextures is fun. I am totally looking forward to Glimma! I'm looking forward to Saltwater! I'm also looking forward to Saltwater, also Glimma by Lotta Jansdotter, I love her fabrics. Thanks for the give away! I love Mod Century! Thanks! the Nancy drew collection. looks great. I'm not sure, I've been trying to avert my eyes, so I don't buy MORE. I pick Lizzy House Constellation and some Salt Water Octopi! I cannot wait for architextures!! Thanks for the chance! The reissue of Paris Flea Market! Comma for sure. And Type. I'm not sure what my favorite will be (don't know much of what to expect) but Honey Honey looks cute. I really like Kate Spain's work. Anything by Kate Spain!! And Tula Pink's Saltwater! Salt Water and Comma both look lovely. I look forward to any line from Kate Spain or Anna Maria Horner! I'm excited for Twenty Three (or however it's written lol)! I have to concur with many others, saltwater. That octopus is wicked awesome. can not wait for saltwater to arrive! i can't wait to see what sarah janes new line will be! looking forward to indie chic! Awesome giveaway! Not sure which fabric collection I want yet though. I'm eagerly awaiting Avalon by Fig Tree & Co.
HI! EAGER TO SEE "HONEY HONEY"! Comma and Architextures!!! Nice blog BTW! Architextures and Salt Water :o) Thanks for the chance to win! Eric & Julie Comstock for Moda... thanks for the chance to win! I can't wait for Indigo Crossings by Minick and Simpson. I think it is called Glima. Glimma by Lotta Jansdotter - love her designs! Glimma -hands down. I have loved every one of her lines! I'm looking forward to using Sarah Jane's Children at play! Honey Honey and Salt Water. I'm looking forward to using Vanessa's "Simply Color". Looking forward to Tula Pink. Thanks for the giveaway. Architextures, Consellations and Pearl Bracelets - I can't wait! I don't have any must haves right now. No doubt that will change, just give me a week or two! Thanks for the chance at your giveaway. 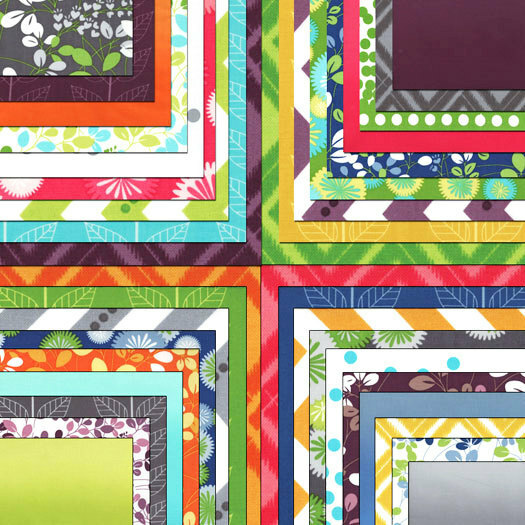 I'm looking forward to Denyse Schmidt's 2013 line of fabric designs. I'm excited for the new Lotta Jansdotter line! I like Bella by Lotta Jansdotter. I love the new Saffron Craig line that has just come out. I can't wait for Noteworthy! I just found out that Lotta Jansdotter is coming out with a new line next year, so that's on my list now! Tula Pinks Saltwater! Thx for the giveaway!! Ditto Nicole... Saltwater! I loved Neptune and didn't grab anything except a layer cake on-line. Couldn't find it around here. I am most looking forward to the new Bonnie and Camille fabric and Comma. It's less about what I'm looking forward to seeing come out and more about looking forward to what I'd actually let myself buy - the Bright Kona Cotton jelly roll. Honey Honey by Kate Spain! I want to see Aneela Hoey's and Kate Spain's new lines. I'm waiting for Sarah Watson's Indian Summer to come out this spring. thanks for a fabulous giveaway :) I'm not really sure what fabrics are due out in 2013 but I do love the new notting hill and lucky penny is pretty cool too ! thanks for the great giveaway. I am looking forward to Tsuru. I am looking forward to Salt Water! Thank you for the giveaway. Really looking forward to Zen Chic! I don't know about what's coming out, but I look forward to anything by Heather Bailey...and I just saw a beautiful coral under the sea collection by Tula Pink (?) on a blog. I'm looking forward to Architextures. I'm looking forward to Lizzy House Constellation! Mixteca from Cloud 9 fabrics. I'm so excited about all the organics coming out. i can't wait for Architextures! I'm looking forward to: Maritime Modern by Marin Sutton. Thanks for the great giveaway! Posy by Aneela Hooey, so sweet! Salt Water. Thanks for the great giveaway! I am excited about Alchemy by Amy Butler! jeni baker's color me retro line! I'm excited for a lot of the new fabric coming out right now and around the first of the year - Constellations, Saltwater, Notting Hill, etc etc etc! I definitely could use the gift certificate to do some damage! Thanks for the opportunity to win! I'm looking forward to the new moda fabrics! I am definitely looking forward to Architextures, and of course anything that Denyse Schmidt may have in the works!! Not exactly sure what is coming out next year, but I really love the colors of Notting Hill. I love the new Type line! Yes! A gift certificate to get what you want! Thanks for such a great giveaway! Thanks for a lovely giveaway. I'm just looking forward to seeing what comes out next year in general. Im super looking forward to the lizzy house pearl bracelets! It's supposedly coming out this month and not technically in 2013, but I'm excited about Hello Sunshine by Lori Whitlock! I'm looking forward to the new Aneela Hooey line Posy! I don't know any lines of fabric, but I like bright colors!! Thanks for the giveaway! I'm not familiar with fabric lines but I saw on another blog a new or soon to be new fabric I think called Salt Water. Oh I loved it!!! I don't really keep up with upcoming fabric lines. I am soooo loking forwatd to leviens upcoming textfabric, infinity! But also architexture! I can't wait to get my hands on Tula Pink's Saltwater. Love it!